Brute lights and shadows are existing from lot of years years. I just realiased testing 3.0 , that it was doing better than 3.1 real time shadows that fades away even on super quality. Deferred or not deferred ligthening looks same as materials and shaders are the same techniques. With deferred bringing more than one directionnal light and your performance will drop quickly actually, specially shaders and shadows cost is heavy also. So will it be some new advanced lightening system planned with OpenGL4 or will it remain basic ? LE3 is doing great now , some features like grass, CSG tools will appear it seems , and LE3 workflow is great now , but i ask more on the 3D artist side will it be advanced faster and better shadowing system than brute shadows ? As advanced it's means less expensive than real time shadows calculations, this is the purpose of global illumination and others , avoid full shadowed level with brute shadows that just would make level too slow. It's curiosity as nothing precise and concerning that points are stated anywhere. Perhaps i am the only one asking that also. Yes, asked for this. And got answered that the lightmapping will never come back. Then I learned that the old way of doing the lightmaps (light baking) was about of the same quality of the current lights. So I perfectly understand now why it's not coming back. As for improvement in lighting to mimic the effects of Global Illumination, Josh said he was thinking of something. Seeing really impressive stuff made by UBI in their latest games using some kind of "sampler spheres" they seem to use to light the level. For doing "quality/realistic" rendering of environment, using this version of the engine, I hope the editor will be able to export the CSG models we create, so we could "lightmap" ourself in a 3D application then import and replace the current "reference" we have with one that has better overall quality (if we can export the mesh, we can also improve the details). When I was modding with the "source engine" we used to create the level using the CSG tools to have a fast prototype, define the gameplay, then export the models to artists to improve the model, then import it and use the CSG for collision only. I hope to be able to do the same. If I need to create a "realistic" level, right now, it's still possible, but the level would have to be created outside LE from the start. Then I learned that the old way of doing the lightmaps (light baking) was about of the same quality of the current lights. So I perfectly understand now why it's not coming back. This is what i don't understand because of same quality, lightmaps uses very few GPU ressources compared to real time shadows and lightening. Actual LE3 frame rate is too low for almost empty levels. Put a directionnal light , than add only a spot ligth to see big frame rate drop down. Lightmappgin would have kept high frame rate and better shadows, caus lightmapping don't have distance limitation like actual LE3 shadows. Good method, that can be effective between gameplay coders and 3D artists. There are many stuff around the web that can be found from Image bases solution (like Marmoset), to some global illumination techniques. So this seems we'll have to wait a good bunch before seeing faster lightening system with global illumination. I really like that work flow sounds great. I love the idea of being able to export the CSG and then use the original as collision that is genius! That would speed up the level design process when your doing your detail passes as well. Because the bulk of the level will be done with the CSG brushes. Very impressive and very good workflow man! If someone is willing to build me a lightmapped scene, I can provide shaders for it. I have Toolbag 2. I can build a scene and lightmap it in there then export and bring it into LE3 and send you the map file with textures? You can use Delgine/Deled http://www.delgine.com/index.php?filename=product_deled or QuArk http://quark.sourceforge.net/ (both opensource) to create you're level and light map it. Then you can export your map and texture (once you download the proper exporter, neither of them export to fbx but obj is an option) with the lights pre-baked. Oh Deled is good and has lot of features that should in in LE3 (From rectangle select, extrude, split etc ...) the gizmo is lot more friendly and you can do all CSG modifications directly in 3D View. Seems a really good alternative for LE3 users that are new to modeling. 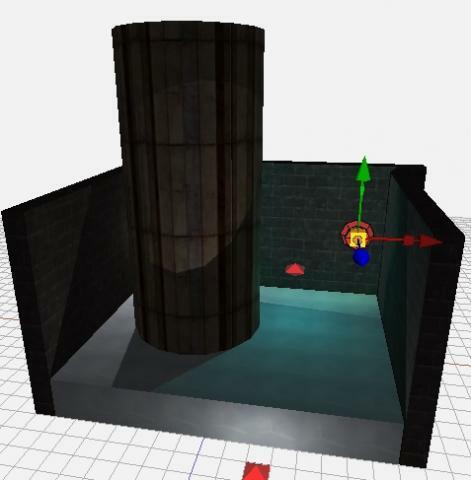 Here is a Deled quick lightmap level for you. The file contains MDL and textures + lightmap for all level. 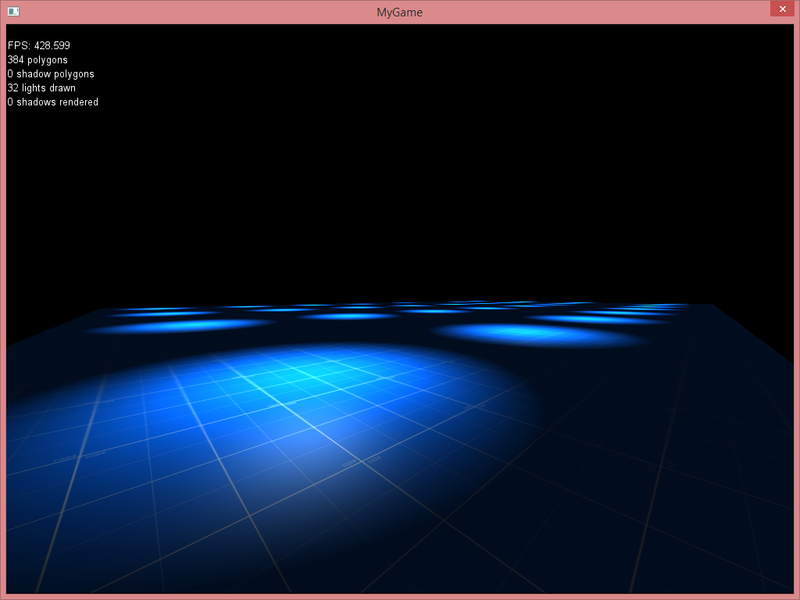 It is possible to have some shader working with LE3 lights also : Diffuse+Normal map + specular + Ligtmap ? - Paint the lightmap to make custom variations of textures, colors, shadows on level surface for example to simply break the tileable aspect of wall textures by painting some areas on lightmap. UV channel 2 is empty. Usually lightmaps goes into second uv channel or will be just plain bake which will make your textures not reusable/tileable. b3d exporter seems to support lightmaps via 2nd UV channel. I don't know how to export to FBX or MDL from that B3D. Anyway possible lightmapping would allow fast rendered levels with any number of lights , and using dynamic lights only on some areas activated when camera near enought, with lot of lights frame rate should jump up of 90%. That one works just fine. No lights in the scene. They also respond to deferrred lighting if you turn a flashlight or something on. Now it's possible in LE3 to have thousands of building/street lights + dynamic lights when camera near. Does this works with normal map or specular shaders ? 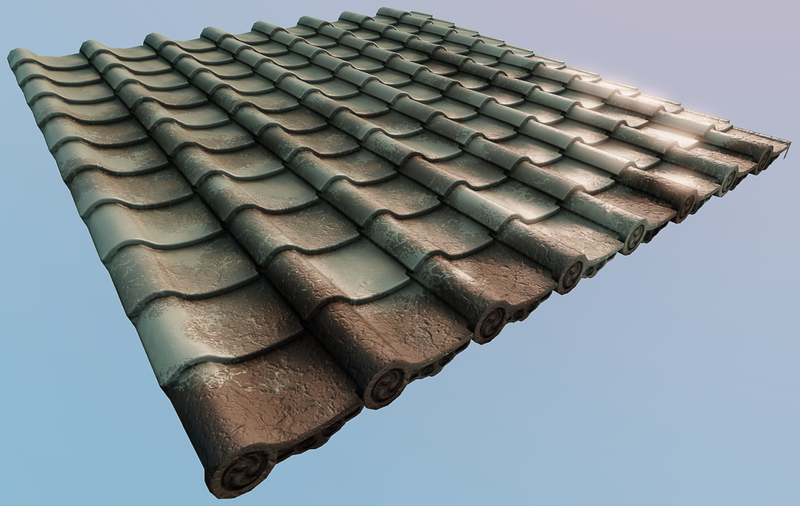 i mean for the tileable wall texture, or deos lightmap works only with diffuse shader ? Normalmaps would look odd I'd guess, there no lightdirection information. So we will have to use diffuse shader only with lightmaps, can be good using fake normal maps, i mean texture looking normal mapped but it's a simple diffuse (clever used in Uncharted 2 game) . For the second use of lightmap, to paint on lightmap dirt, color variation , decals , anything to break tileable look of tileable textures of level. If we could have the diffuse+normal+specular shader working as it is now in 3.1 + lightmap , this is where lightmaps could be used. Cool stuff guys! How would you 'fake' a normal map YouGroove? You bake normal map, than tranform colors to levels of grey, than apply layer diffuse texture in colorize mode to not alter grey map. This way you have diffuse texture with normal map volume height baked into it. Can you do a tutorial of this? Can this also be done in 3D - Coat? You just convert normal map to grey and white colors (there is in Gimp colors options), than just add a "colorize" layer with the diffuse texture (seek on google for more info). Making lights LOD , frame rate was too slow, i found i forgot to put LOD on undergrount part. I understand now why frame rate was still to low, these lights/shadows are always active. Using lot of lights will never be as fat as lightmapping, and heavy shader/shadow consuming, so super slow frame rate. Even putting Lights distance activation, having one , two or some more lights active only at same time, the frame rate remains slow from 30 to 50 FPS on laptop in run mode.No way to make good optimisation in our user side. Hi, YouGroove. I'm not totally sure the lightning system would need much optimization, for me its performance is decent. Can you test again by putting all shadow off? I think it's the shadow rendering that eat the more ms per frame. For the lightmapping, if we can do it externally (meshes + brushes), and bring it back (using a material shader), would be fine. For lighting, would be nice if we could have shaders that use "spherical harmonics" and that we could render "samplers"(like an environment cube map) to light the models. I don't know much how this work, but seen results and it's seem to really mimic global illumination. 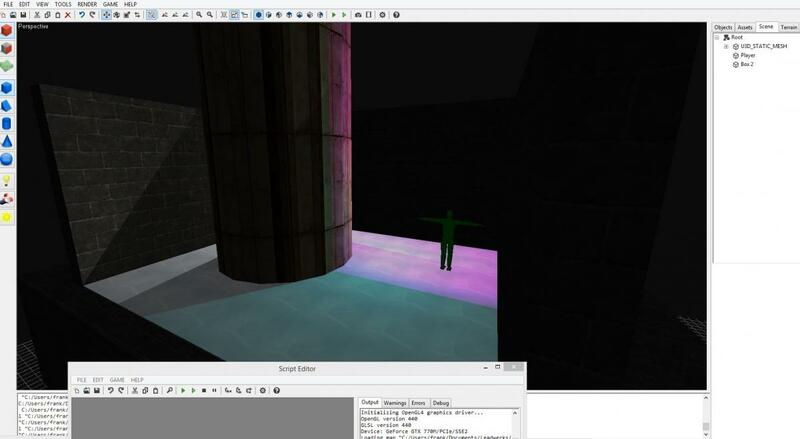 When you'll begin a real game in LE3 not demos, begin the level , put lights, texture and shaders you'll see how it goes. I have only mother board intel card these days , i run Witcher 2 with bigger resolution lot more detailled characters etc ... we can't expect one person engine to be like 5 , 15 or more teams engines i agree. In that PC i would expect 30 FPS solid all the time with aliasing * 4, hight lightening quality , in 1280*1024 minimum res for such demo. Testing, i have same and better frame rate runing some Unity complex game level using alternative plugins Bloom, DOF , motion blurr for the free version, these plugin takes a really bunch of GPU as this is not render to texture. Why LE3 frame rate is not better ? Can you test again by putting all shadow off? I think it's the shadow rendering that eat the more ms per frame. I'll make a test. But if If we get rid of majority of shadows and lights, the level won't look so good, so LE3 would loose all it's graphics interest. Performance won't go up adding vegetation, water, full screen effects. If you need a super recent PC to run LE3 game , that's more a tech demo, in that case better buy a recent AAA game instead of indie slow one. -Shaders LOD , on distant objects this is diffuse/specular only or diffuse only shader.